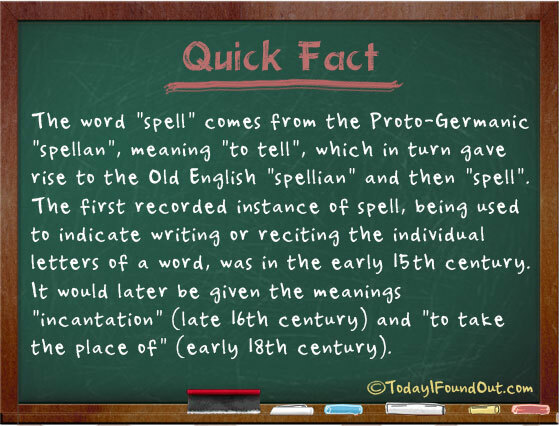 The word “spell” comes from the Proto-Germanic “spellan”, meaning “to tell”, which in turn gave rise to the Old English “spellian” and then “spell”. The first recorded instance of spell, being used to indicate writing or reciting the individual letters of a word, was in the early 15th century. It would later be given the meanings “incantation” (late 16th century) and “to take the place of” (early 18th century).